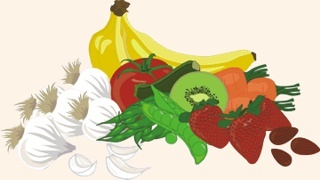 Along with the wisdom , research , recipes , experience , and discovery we post on this website, you will find indispensable tools for preparing vegan meals and dishes that even the most dedicated carnivores enjoy. 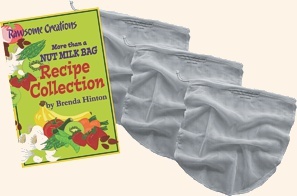 Our high quality re-usable white nylon More than a NUT MILK BAGs are indispensable tools in the healthy kitchen. Our Nut Milk Bag story -- about Balinese mothers, infants, and orphans -- makes this product even better. For those who love to dehydrate, I offer my Rounds Templates. 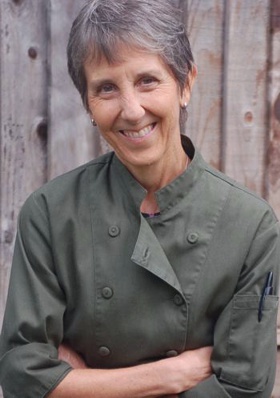 We have updated our on-line library of living food recipes, and Brenda's first book, her More than a NUT MILK BAG Recipe Collection, gets several pages here on the website, giving you techniques and recipes to help you get creative. For more, you can get her 112 page book here too, and join the Reader's Community where the recipes are available in presentation format.